Could Captain Kirk afford a house in Toronto? In the world of Star Trek, Kirk lived in San Francisco – where Starfleet was headquartered – when he wasn’t off on a five-year mission. But with San Francisco home prices already in the stratosphere, what what if he decided to quit the space battle racket and move to Toronto? The current median home price in San Francisco is about $1.1 million, according to Zillow. And Trulia found that San Francisco home prices have appreciated at an average of 3% over the last year – or around three times the current rate of inflation. Things look a little better in Toronto, where the median price for a single-family home was $807,000 in the second quarter, according the Toronto Real Estate Board. So is Toronto the better choice? Maybe not – percentages aren’t on Kirk’s side there. The average home price in Toronto rose 17.8% year over year. 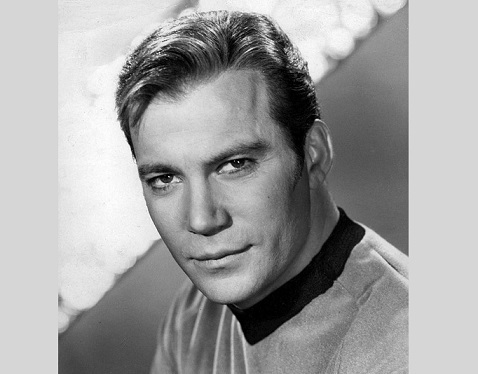 So let’s assume a worst-case scenario for James T. Kirk, homebuyer – the Kobayashi Maru of homebuying, if you will. That means no major housing collapses, economic meltdowns or other catastrophes between now and then. We’re going to assume Toronto home prices will keep seeing an average 17.8% appreciation per year for the next couple of centuries and change. At that rate as the years roll on, home values will multiply like tribbles in a quadrotriticale bin. Captain Kirk should be leaving for his mission about 250 years from now: in 2266. He’s got a desk job 16 years later, in 2282. So let’s assume he bought his house in 2280. Let’s further assume that he purchased a home with a middle-of-the-road price – $807,000 in 2016 Toronto. So, what kind of price tag is Captain Kirk looking at in 2280? Well, let’s just say that Kirk would be paying more money for an average house than is currently in circulation on the entire planet. Many, many times more. If Toronto’s home appreciation continued at an average of 17.8% for the next couple of centuries, Captain Kirk would be shelling out nearly $4.9 septillion for a house. That’s a number so large it’s usually expressed in scientific notation. To put it in perspective, some scientists estimate there are only about 1 sextillion stars in the observable universe. So what would a mortgage on that cost? Well, let’s assume a standard down payment of 20% – a very manageable $9.8 sextillion. Over the course of, say, 25 years with a fixed rate of 3.94%, that would work out to monthly payments of about $25 quintillion. And with the mortgage interest, Kirk’s house would end up costing him about $7.6 septillion. All things considered, he might be better off moving back to his home state of Iowa, where the average home would only set him back by $85 million in 2280. Ok, now we know why they don't have money in Kirk's time, or home ownership. How is this Breaking News?